Rustic design in a single Decora switch plate. Get an outdoor cabin feel in any room in your home or office. 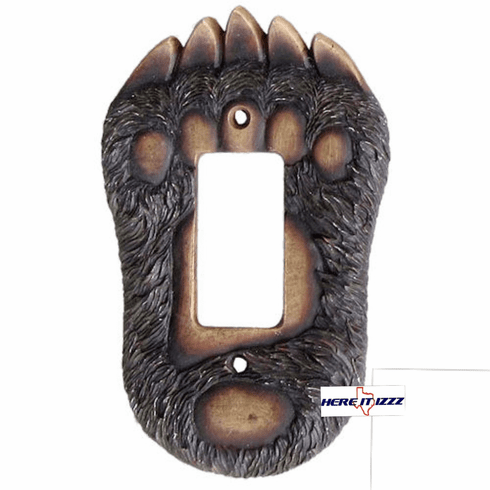 This rocker switch plate is designed with a Bear Paw look and a mountain cabin feel. Easy to replace and comes with needed Hardware this Bear Paw rocker plate will look great in any room.